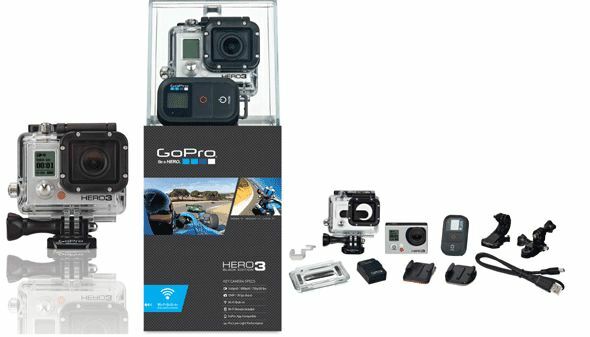 Auto Torque are pleased to offer a fantastic Buy on GoPro HERO3 Black Motorsports Edition Cameras only £335 delivered. The HERO3Black Edition captures professional, cinema-quality video at 2X the resolution and 2X the frame-rate of previous models while delivering 2X better low light performance. Slow-motion aficionados and industry professionals will love the HERO3: Black Edition’s 1080p-60, 720p-120, WVGA-240, 960p-100 and 1440p-48 video modes while those desiring a cinematic look will appreciate the ultra-high resolution 2.7KP-30 fps and 4KP-15 fps (Protune only) video modes. The HERO3 Black Edition’s photo performance is 3X improved, now boasting 12MP burst capture at a staggering 30 frames per second with 2X better low light performance compared to previous models. Still Photo and Time-lapse Photo modes remain the same but are now joined by a new Continuous Photo mode that captures continuous 12MP stills at a steady 3, 5, or 10 photo-per-second rate, up to 30 photos at a time. 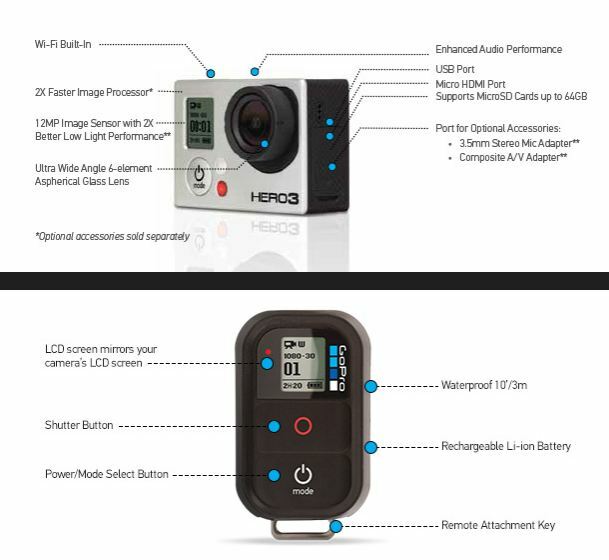 The HERO3 Black Edition features built-in Wi-Fi and includes GoPro’s Wi-Fi Remote accessory. The Wi-Fi Remote is normally available as a $79.99 accessory but is included with the HERO3: Black Edition. The Wi-Fi Remote is waterproof, wearable and can control up to 50 Wi-Fi-enabled GoPros at a time from a range of 600′. The HERO3’s built in Wi-Fi means it can also be controlled by iOS smartphones and tablets running the GoPro App*. The GoPro App enables full camera control and live scene preview on any compatible iOS smartphone or tablet. * A software update for your HERO3 camera is required before using the GoPro app. 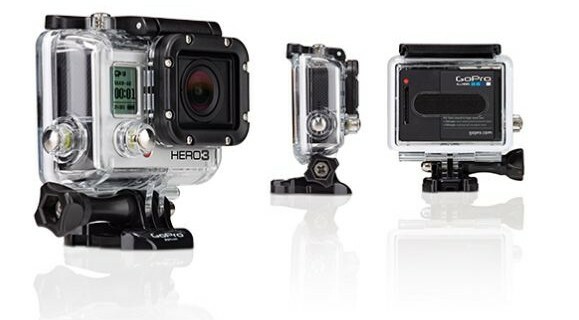 GoPro app compatibility with the HERO3: Black Edition will be available December 14, 2012. Click here to update your HERO3 product software.